Vault of Light: Day Five. Wow Blogging Challenge - Favorite items. Day Five. Wow Blogging Challenge - Favorite items. There are so many amazing little trinkets and doo-dads in game. My favourites are the ones which change your appearance. Blizzard have done fantastic jobs on some of the mounts and armor models too! I've chosen just three of my favorite items due to sentimental value. 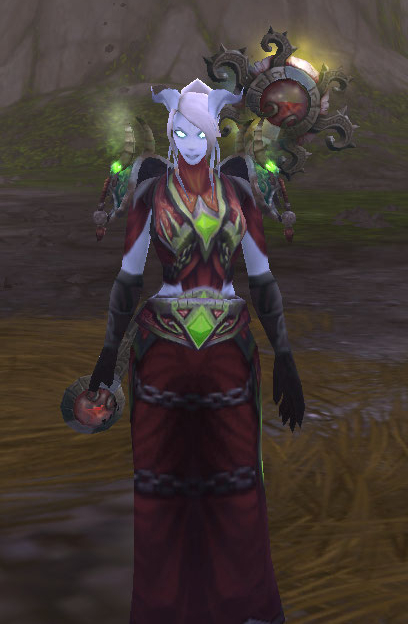 Orb of the Sin'Dorei is one of my absolute favorite items in game. The item disguises you as a Blood Elf for five minutes with a thirty minute cool down. Some of my favorite times in game were when I played Horde so this one is a nice little reminder. 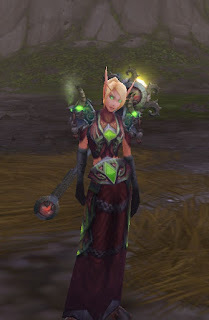 Plus Blood Elf is definately my favorite race. Wowhead has a nice list of Disguises and Character Effects items. My gorgeous Spectral Kitty is still my favorite purchase. It was the first item I had dropped a ton of gold on after getting gold capped. Another mount which holds a special place in my heart. The Bony Pony! This mount drops from Lord Aurius Rivendare in Stratholme. I farmed for this beauty for years. I couldn't believe my eyes when it finally dropped.